Happy Friday! You know the routine! Every Friday, a children's literature enthusiast drops by to finish my sentences. Shannon Hitchcock is this week's special guest. We chatted about Sarah Beth Willis, Mrs. Smyre, school libraries, and reading. I wrote the words in purple, and she wrote the words in black. Thank you, Shannon! Ruby Lee and Me tells the story of 12-year-old Sarah Beth Willis. She has a perfectly ordinary life until her younger sister’s accident. Afterward, Sarah moves to her grandparents’ farm and runs face first into school integration. 1. Sarah loves her family more than anything. 2. Because Sarah’s skin is white, she hasn’t experienced racism firsthand. During the summer of 1969, her best friend, Ruby Lee, and the town librarian open her eyes to injustice. 3. Sarah and Ruby are strong girls. They are destined to become lifelong friends. I think Mrs. Smyre loves children. She believes in modeling the behavior she expects from her students. She hopes they will leave her classroom with more book knowledge and as better people too. When I was in sixth grade, I was a bookworm. My favorite book was REQUIEM FOR A PRINCESS by Ruth M. Arthur. It’s the same book Sarah is reading on page one of RUBY LEE & ME. Did you know The Ballad of Jessie Pearl is inspired by a family story, and I got the idea for writing it from my son’s eighth grade history project? His teacher asked each student to collect 10 family stories. Each story had to take place during a different decade. After lots of research, and a healthy dose of imagination, one of the stories Alex collected grew into THE BALLAD OF JESSIE PEARL. Reading is an adventure. You can journey around the globe without ever leaving home. School libraries hold the answer to almost any question you will ever ask. Make friends with your librarian. Mr. Schu, you should have asked me what’s the most exciting thing to happen to RUBY LEE & ME so far? 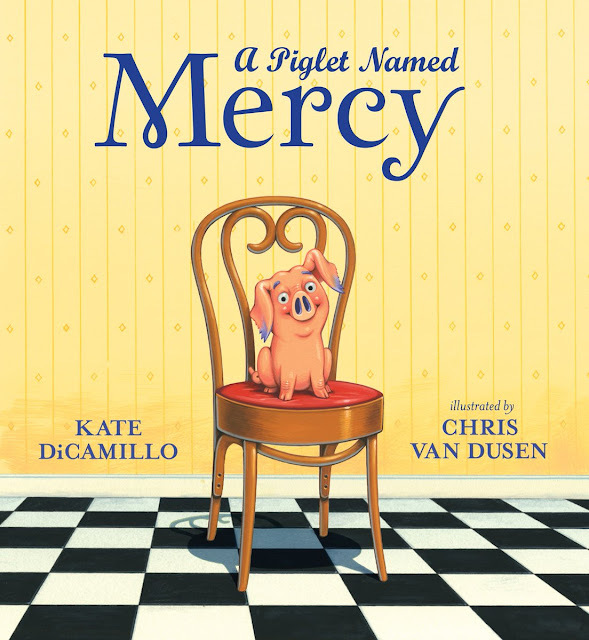 The novel was featured in Scholastic’s Mother Daughter Book Club. They published discussion questions and a recipe for peach cobbler. 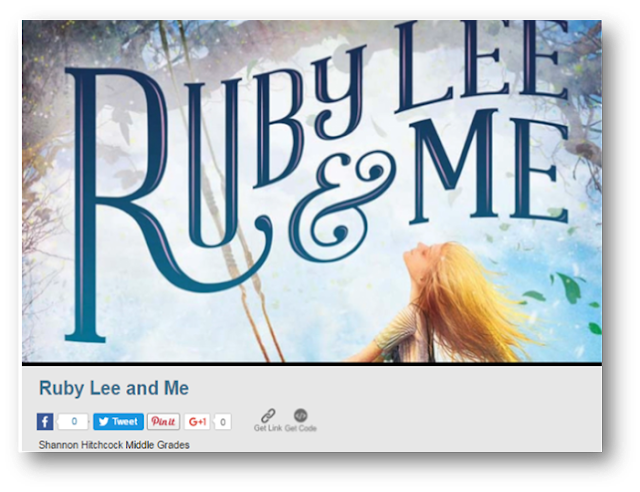 Borrow Ruby Lee and Me from your school or public library. Whenever possible, please support independent bookshops.